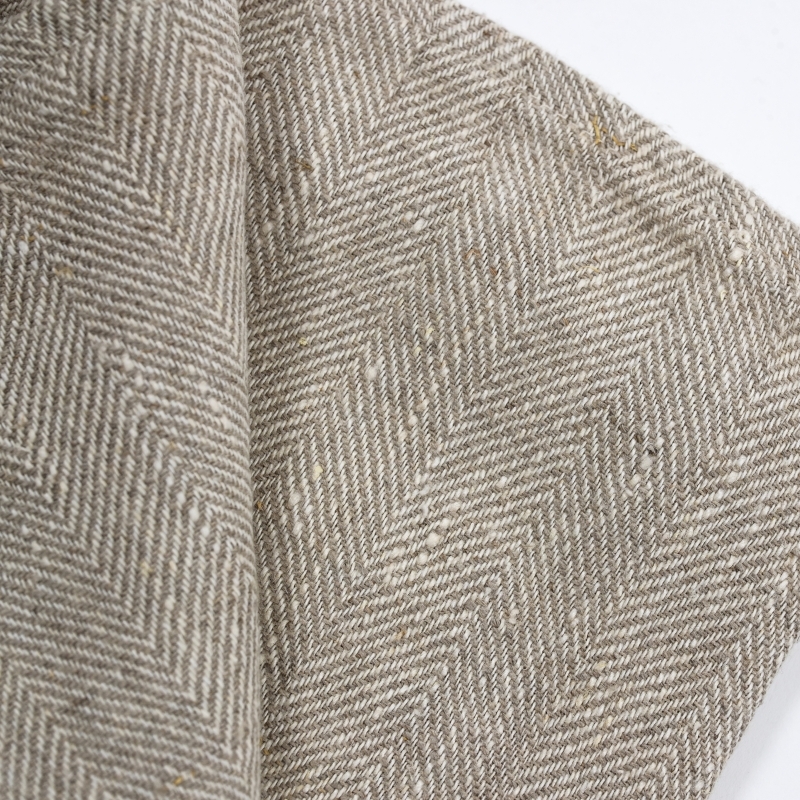 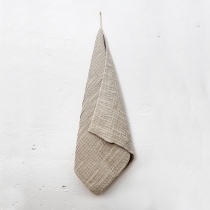 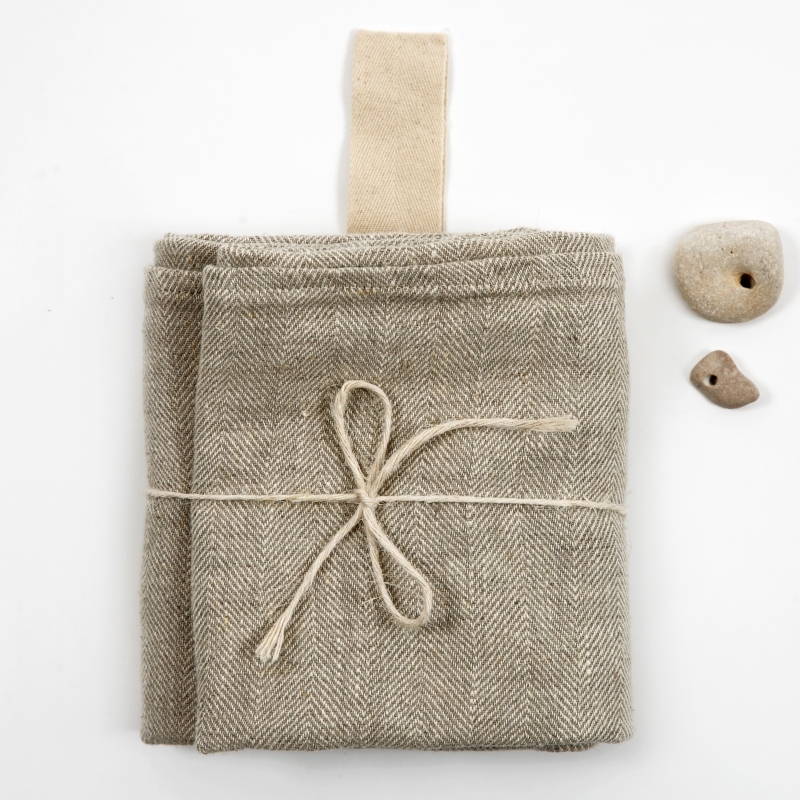 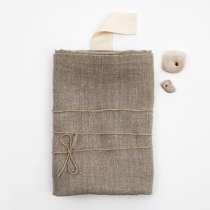 Towel is made of natural 100% linen fabric. 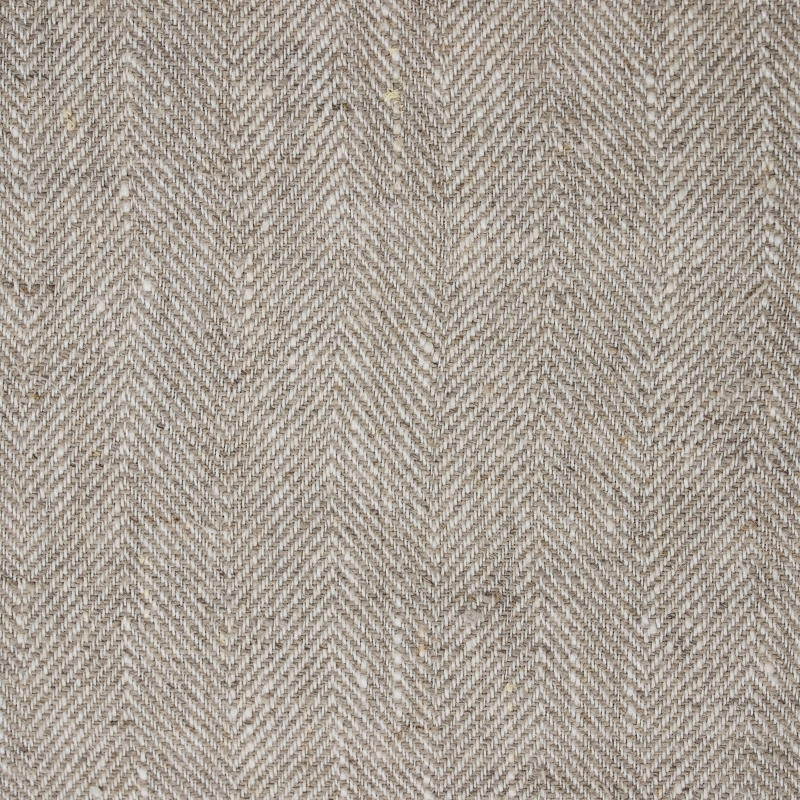 Color is natural gray with fishbone pattern. 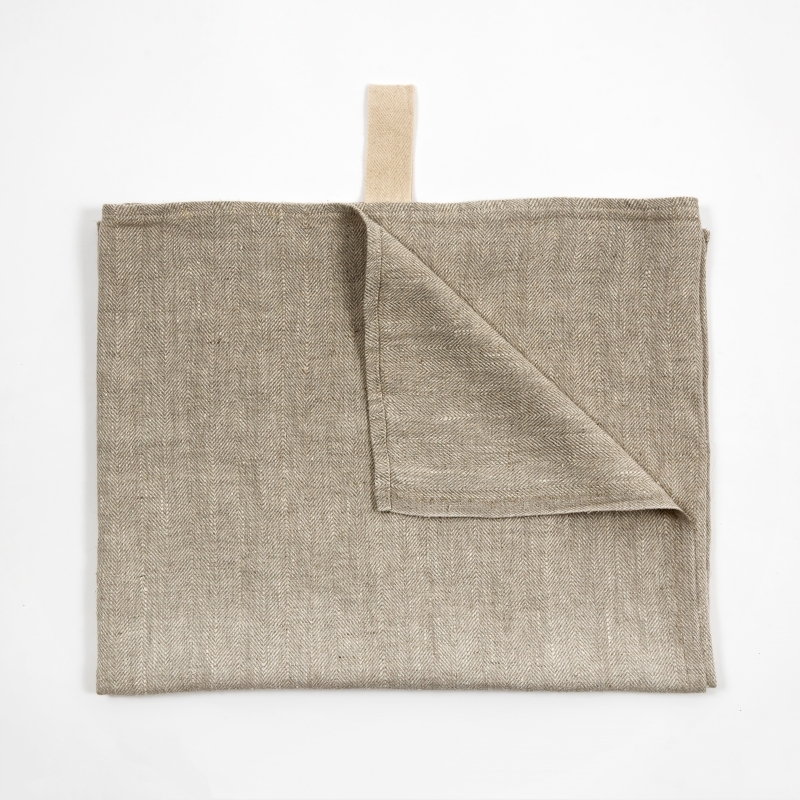 It is easy to fold and carry. 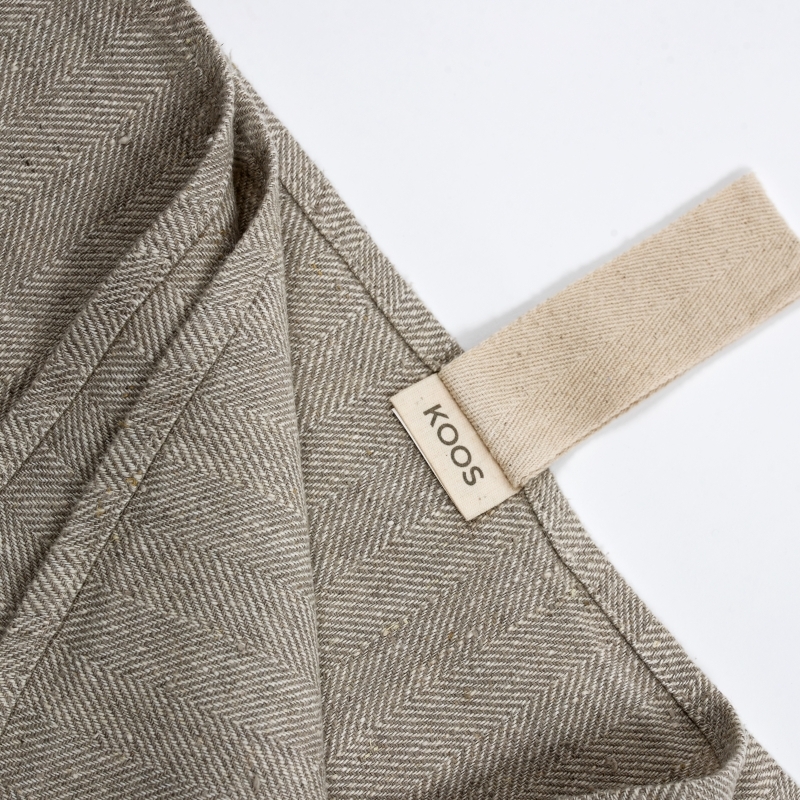 It`s light, and takes less space in your handbag. 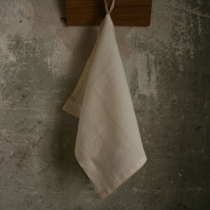 Material is prewashed, so it allready has a bit wrinkly elegant look. 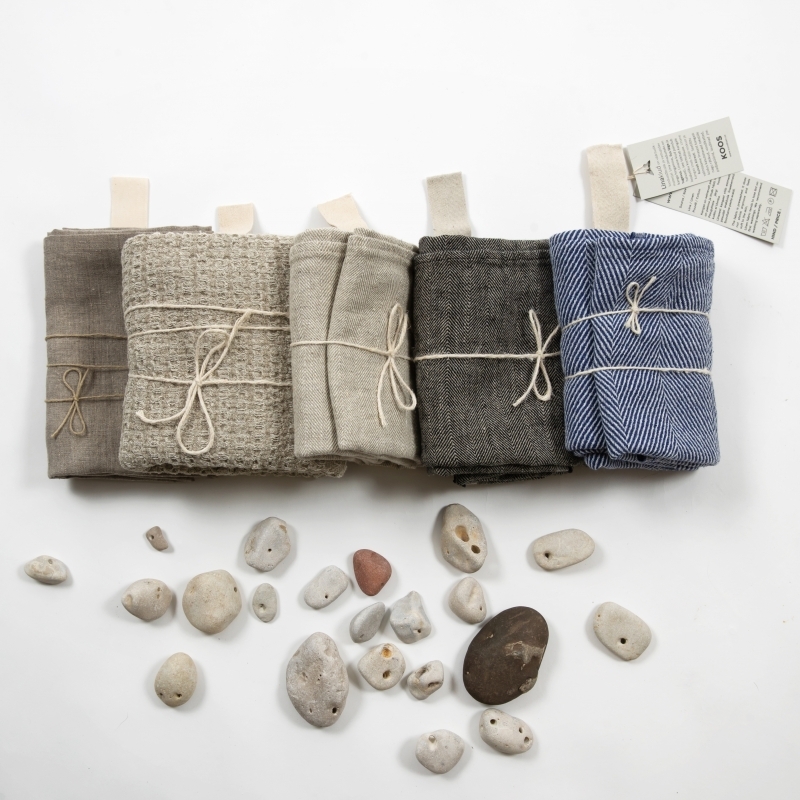 Hanger is made of natural white band, what gives chic look to the towel. Linen is an ecological choice that will only get better over time..